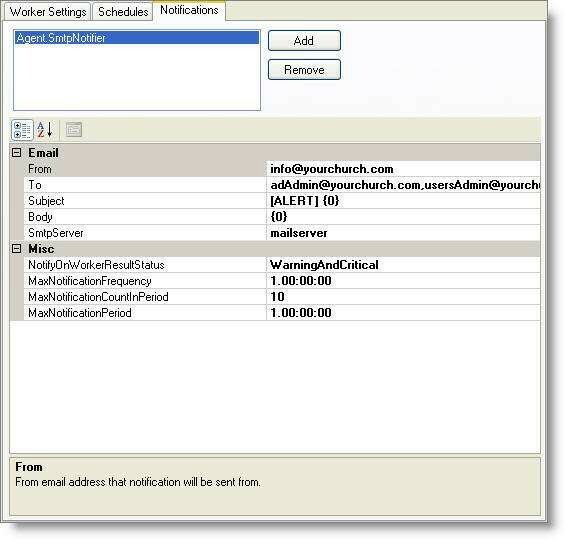 You can configure the threshold, frequency, and recipient email of who to notify when the agent runs and/or when an error occurs based on the Notify on Worker Results Status selection. Just like Schedules, you can add multiple notifications to accommodate different settings. 1. Go to ~Program Files/Arena ChMS/Arena Automation Agents folder. 4. Select the desired Agent from the Agent Jobs list. 6. 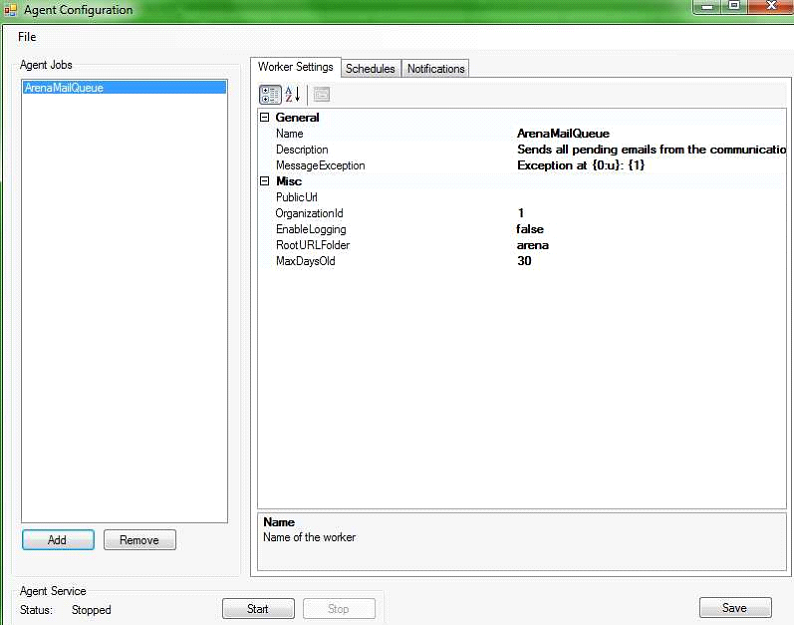 Adjust Worker Settings, Schedules and Notifications, as desired. 7. Click the Start button.